I don’t normally post readers’ email comments on the blog, but I felt that this one from over the weekend was pretty interesting. 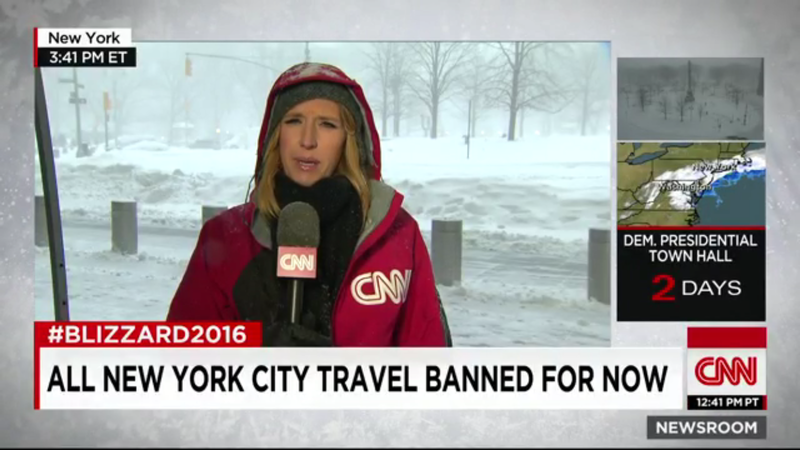 Harlow was anchoring her weekend show CNN Newsroom from outside in New York City covering the “historic” snowstorm; in late 2015, she revealed she was pregnant, and she subsequently passed out during a broadcast in December. “Fredricka [Whitfield] wasn’t outdoors” that same day, and Anderson Cooper “wasn’t outdoors” the previous day, the emailer went on. Of course, if she absolutely didn’t want to be out in the snow, I’m sure it could’ve been avoided — but still… an email worth sharing, I thought. You mean she announced shes pregnant in late 2015.